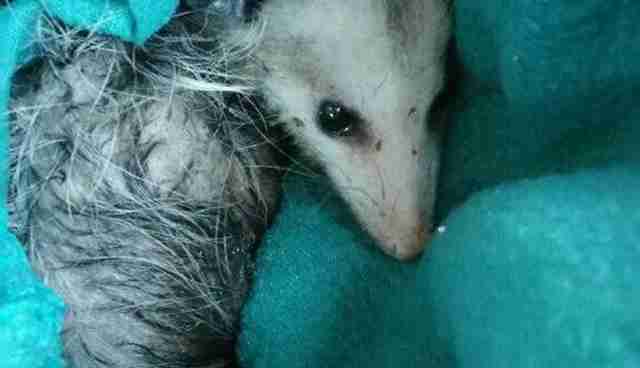 One day, at a high-kill shelter in Southern California, an unusual animal was dropped off: a baby opossum who was in terrible shape. 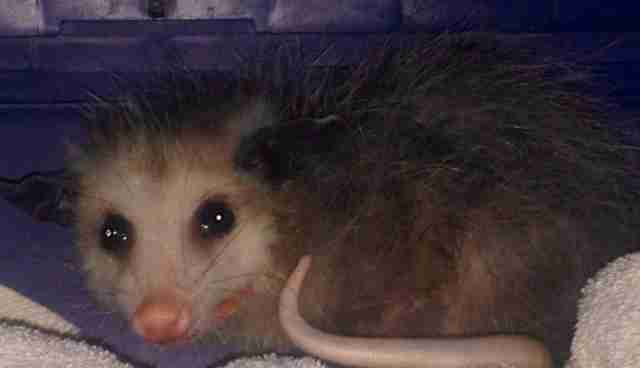 The little wild animal had become stuck to a glue trap, where she'd been wasting away until someone found her and brought her to get help. Volunteers at the shelter were determined to save her life, so they called local animal lover Gina Lynn, founder of New Life Animal Sanctuary in Lake Elsinore. 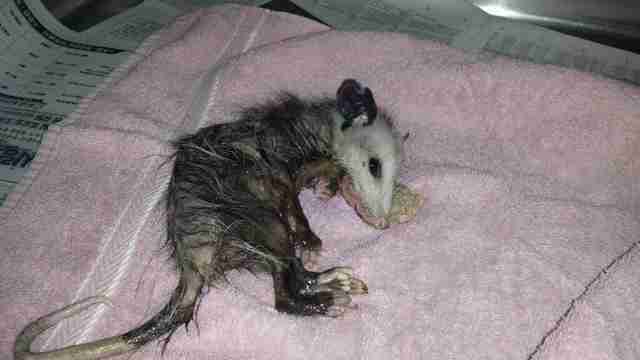 While Lynn herself isn't a wildlife rehabilitator, she knew just who to contact to help the little opossum. "We got this baby quickly to Project Wildlife in Temecula," Lynn told The Dodo. "But we were not sure she would make it through the first night." But the little animal still had some strength in her. Wildlife rehabilitator Anysia Dickson devotedly helped her build even more strength so she could go back to the wild. Animals can be removed from glue traps with a little oil to dissolve the glue. But recovering from being parched, starved and terrified can take much longer. Too many wild animals, though, are harmed or killed because of glue traps. And the animals for which the traps are intended suffer painful deaths that can take days. 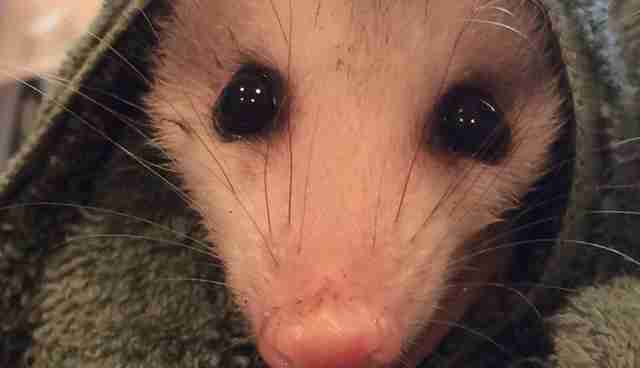 After she was cleaned up and rested, the opossum regained that wild spark of life in her eyes. "As you can see, her recovery has been nothing short of miraculous," Lynn said. "After two months, she was ready to go," Dickson added. 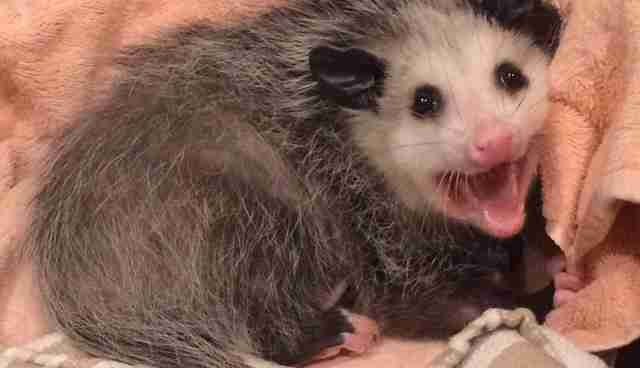 "I opened her carrier and off she went - fast as an opossum can go." Click here to learn how you can help Project Wildlife. Click here to learn how you can help New Life Animal Sanctuary. Learn about a humane alternative to glue traps here.